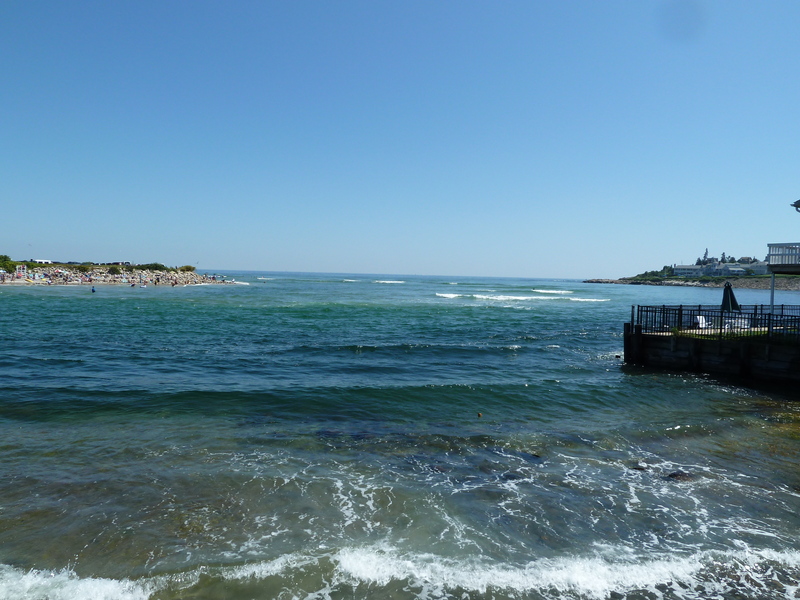 I love the ocean but probably not for the same reasons that other people love the ocean. I think that it is relaxing and mesmerizing. I love the sound of the waves connecting with the beach. Looking out over the ocean it is very hard to feel full of yourself or sorry for yourself, because you are so insignificant in the great scheme of things. The ocean is humbling. Looking out over the vast expanse of the ocean it is hard to imagine that I count much and that my problems or worries or concerns are all that important to anyone but me. It reminds me not to take myself too seriously or to stress too much over things which are really not that important. The ocean is powerful; it doesn’t care who you are or where you fit into this world. All the money and power in the world cannot save someone who is caught in its fury or is disrespectful to its power. The ocean is a reminder that life is precious and short and can be swept away in the blink of an eye. Life is something to be cherished and enjoyed. I am going to preface this post with a simple disclaimer statement – Everything is fine, I am happy, all is well. I don’t want friends or family who might read this to think that I might have gone off the deep end or I’m not telling them something. If you’ll notice, there is a category listing for all the posts I write and one is labeled “Musings”. This post is merely that – put in type if you will. Okay, so now that that’s all cleared up…. Today, in between working, writing and making jam (yes I did all three of those things for bursts much like running wind sprints I guess) I was taxing kids (or in TJ’s case, being taxied by a kid) and the radio was on. The band Thriving Ivory has a song Angels on the Moon and one line in the chorus states “Don’t tell me if I’m dying ’cause I don’t want to know”. It struck a chord, began the gears of the mind churning and the end result is this post. Would you want to know? Interesting question. I guess that from the adult responsible standpoint, yes so that your affairs could be put in order. I guess that from the personal standpoint, yes again so that I could make a point to spend as much time with my husband and sons, my family and friends and enjoy the time remaining to its fullest, not wasting any of it. As a side note, if you haven’t read The Last Lecture by Randy Pausch, you should. You can also watch it on YouTube. Bring lots of Kleenex with you- you’ll need it whether you’re reading the book or watching the lecture videotape. He learned that he was dying of pancreatic cancer and wrote his Last Lecture giving advice, information and mostly importantly sharing life thoughts and impressions with his young children who he hoped would one day hear the lecture. He died three years ago and he was as old as I am now. I recently read that his oldest son, who is only 8 years old has taken up the cause of fighting for a cure for pancreatic cancer. I guess that what got me thinking about that line was the thought that shouldn’t we all live our lives as if it is our last day? 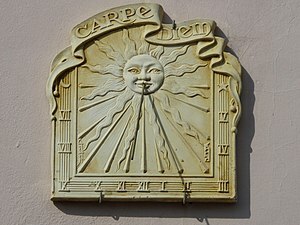 Carpe Diem – seize the day (although that’s not the actual translation, but that’s another post). Spend time with those that we love, surround ourselves with our family and friends, be nice and the most famous of the sayings “don’t put off until tomorrow that which you could do today”. Tomorrow for all of us will someday not come, whether we know the end is coming by slowing trudging toward us or it jumps out of a corner and snatches us away suddenly and without warning. In any event, I think it’s good advice.